If you practiced what we have been preaching about potting up your own garden herbs, then this lesson is for you. We will offer tips on how to preserve your herb bounty in a few simple steps. If you haven't tried to pot up herbs then you are missing out. It's easy and fun to do and the rewards just keep on giving. 1. Air or Hang Dry. 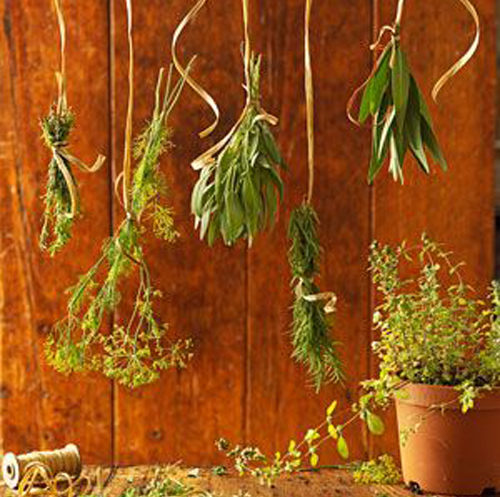 If you have space and time you can tie bunches of your harvested herbs upside down in a dark, warm but well ventilated area. They dry in 2 to 4 weeks or when the potted herbs are crispy and easy to crumble between your fingers. Store at this point and use as needed. 2. Oven; Arrange the herbs that you planted on a cookie sheet and set the oven to 180 degrees. Heat for about 4 hours, keeping the oven door slightly open. Stir occasionally during this process. 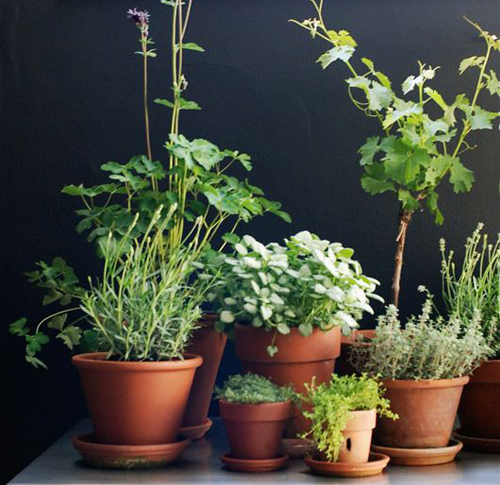 Your potted herbs will come out beautiful. 3. Microwave. If you need potted herbs dried fast then try this but watch them closely. 4. Freezing whole or chopped. Wash, dry the potted herbs in freezer bags with as much air removed as possible. If chopping the herbs, work fast so they don't brown when exposed to the air. 5. Salt or Sugar. Layer fresh potted herb leaves between salt or sugar covering completely and leave until they are desiccated. Sift them out and store in airtight containers. One teaspoon of dried potted herbs are equivalent to 1 Tablespoon of fresh. If you prefer fresh then do what we highly recommend. 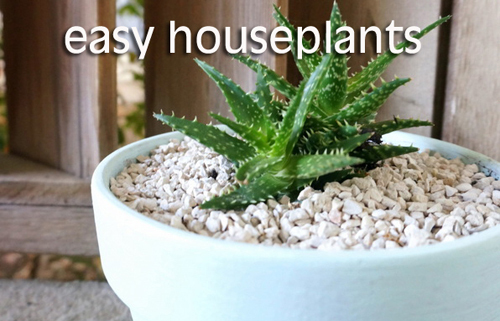 Plant them into small terracotta pots and grow indoors all year long. 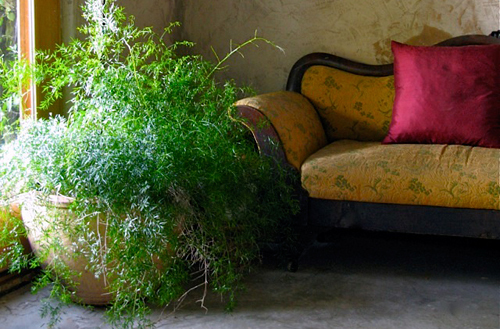 5 houseplants that are easy to keep alive. 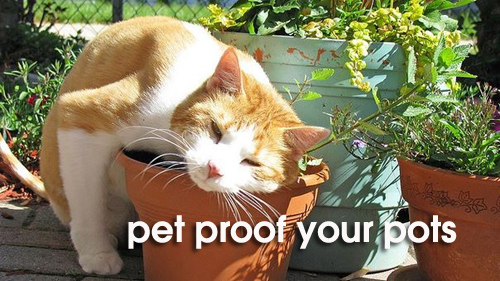 Keeping potted indoor house plants alive can be even more challenging than your outdoor garden. Below is a list of some that are not only easy to keep alive, but will grow and provide much pleasure and beauty. 2. Peace Lilies. 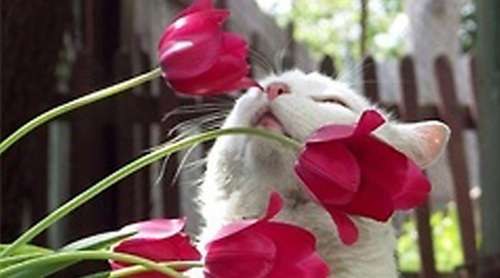 The spoon shaped flowers normally appear in the summer, but can also bloom through-out the year. When potted in a tall planter it becomes very regal. Neglect, low light, low humidity and a wide range of temps makes it perfect for that dark corner that needs a bit of beauty. 3. 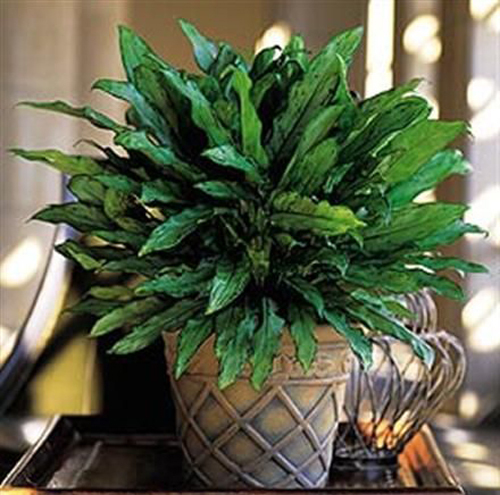 Chinese Evergreen. Arching lance shape leaves, usually silver, gray or shades of green cool beautiful as a center piece on a table. Pot in something colorful, decorative or artsy for an outstanding look. 4. Asparagus Fern. Always popular and totally stunning this makes the perfect potted indoor plant. The stems of this fern shoot upward and outward with white flowers that turn into bright red berries. Must be kept away from pets and children but when potted in a large container, it makes a huge display. 5. Christmas Cactus. Even though it usually blooms mid to late December, this potted cacti will create a lush green display all year around. 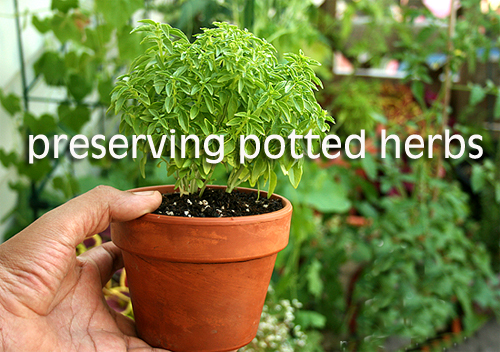 Pinch back the plant or prune with shears to encourage the plant to branch and create a unique potted display. Saw this online and had to share. If there is one thing that can set the mood for outdoor entertaining, it's candles. Flickering firelight on a warm evening, after the sun goes down and the day comes to an end, can set a relaxing and romantic mood. Whether you are enjoying the quiet space by yourself, or entertaining under the stars, here is a great DIY idea for a stylish outdoor candle using pots. 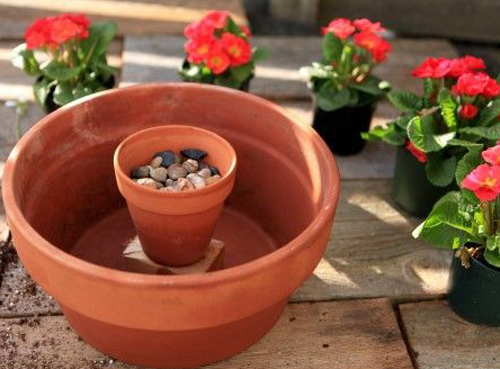 Simple idea: Make a flower pot candle planter with two terracotta pots, some pebbles, annuals, and a pillar candle. Easy Peasy! Flowers and candles are meant to go together if displayed out in the garden. 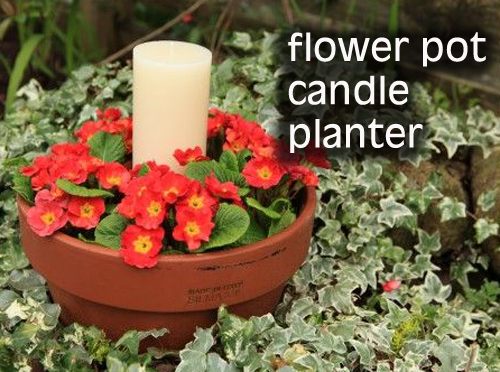 Fill your pot with whatever blooms you like, as long as the plant material stays below the candle height when lit. This makes a gorgeous table decoration for outdoor meals. 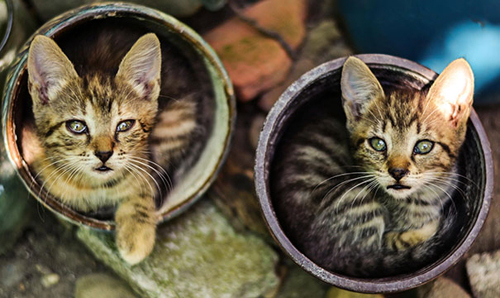 2 terracotta flower pots - one large and wide and one small and tall. Annuals in 4" nursery pots. Set the wood block in the bottom center of the large pot. Place annuals in nursery pots into the larger pot, around the wood block. Set the smaller pot on the wood block and fill with 1/3 river rocks. Set the pillar candle on the river stones and set out in the garden.